Treating diabetes by changing a cell’s identity. Stem cells are an ideal therapy strategy for treating type 1 diabetes. That’s because the disease is caused by the loss of a very specific cell type: the insulin-producing beta cell in the pancreas. So, several groups are developing treatments that aim to replace the lost cells by transplanting stem cell-derived beta cells grown in the lab. In fact, Viacyte is applying this approach in an ongoing CIRM-funded clinical trial. In preliminary animal studies published late last week, a Stanford research team has shown another approach may be possible which generates beta cells inside the body instead of relying on cells grown in a petri dish. The CIRM-funded Cell Metabolism report focused on alpha cells, another cell type in pancreas which produces the hormone glucagon. After eating a meal, insulin is critical for getting blood sugar into your cells for their energy needs. But glucagon is needed to release stored up sugar, or glucose, into your blood when you haven’t eaten for a while. The research team, blocked two genes in mice that are critical for maintaining an alpha cell state. Seven weeks after inhibiting the activity of these genes, the researchers saw that many alpha cells had converted to beta cells, a process called direct reprogramming. Does the same thing happen in humans? A study of cadaver donors who had been recently diagnosed with diabetes before their death suggests the answer is yes. 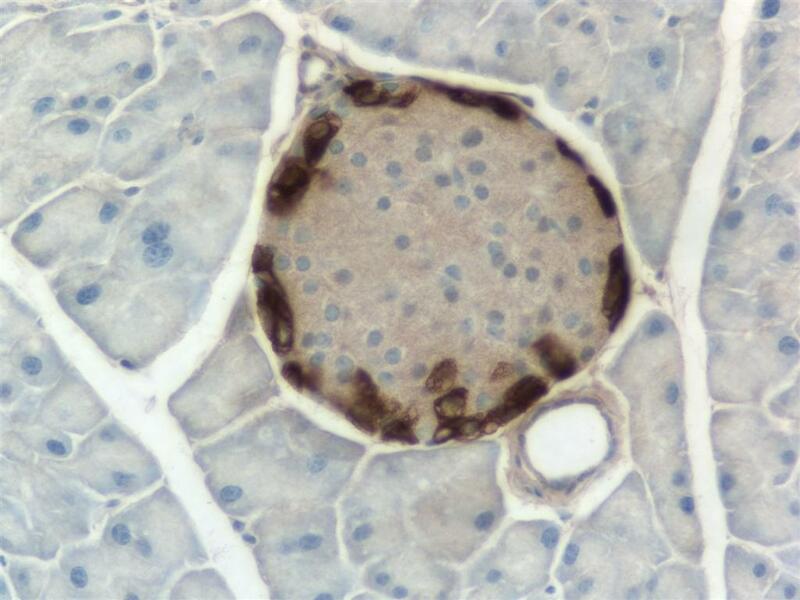 An analysis of pancreatic tissue samples showed cells that produced both insulin and glucagon, and appeared to be in the process of converting from beta to alpha cells. Further genetic tests showed that diabetes donor cells had lost activity in the two genes that were blocked in the mouse studies. Using computers to predict cell fate. Deep learning is a cutting-edge area of computer science that uses computer algorithms to perform tasks that border on artificial intelligence. From beating humans in a game of Go to self-driving car technology, deep learning has an exciting range of applications. Now, scientists at Helmholtz Zentrum München in Germany have used deep learning to predict the fate of cells. 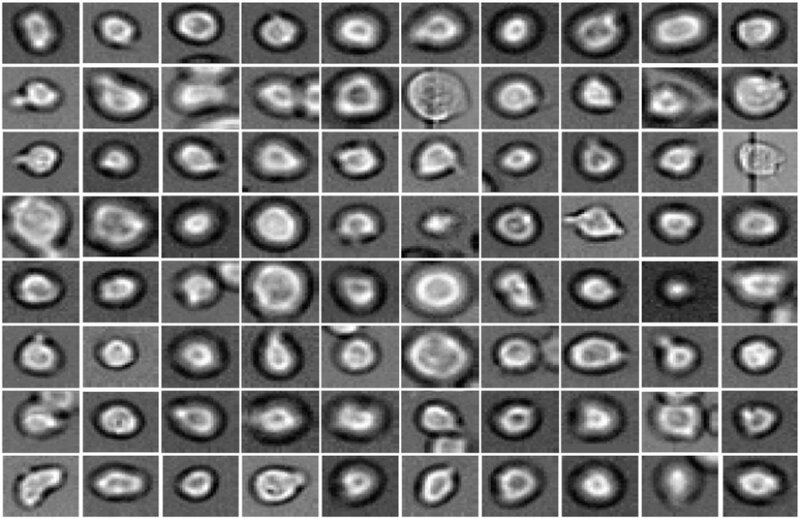 Using deep learning, computers can predict the fate of these blood stem cells. The study, published this week in Nature Methods, focused on blood stem cells also called hematopoietic stem cells. These cells live in the bone marrow and give rise to all the different types of blood cells. This process can go awry and lead to deadly disorders like leukemia, so scientists are very interested in exquisitely understanding each step that a blood stem cell takes as it specializes into different cell types. Stem cell therapy for ALS seeking approval in Canada. (Karen Ring) Amyotrophic lateral sclerosis (ALS) is a progressive neuromuscular disease that kills off the nerve cells responsible for controlling muscle movement. Patients with ALS suffer from muscle weakness, difficulty in speaking, and eventually breathing. There is no cure for ALS and the average life expectancy after diagnosis is just 2 – 5 years. But companies are pursuing stem cell-based therapies in clinical trials as promising treatment options. One company in particular, BrainStorm Cell Therapeutics based in the US and Israel, is testing a mesenchymal stem cell-based therapy called NurOwn in ALS patients in clinical trials. In their Phase 2 trials, they observed clinical improvements in slowing down the rate of disease progression following the stem cell treatment. In a recent update from our friends at the Signals Blog, BrainStorm has announced that it is seeking regulatory approval of its NurOwn treatment for ALS patients in Canada. They will be working with the Centre for Commercialization of Regenerative Medicine (CCRM) to apply for a special regulatory approval pathway with Health Canada, the Canadian government department responsible for national public health. 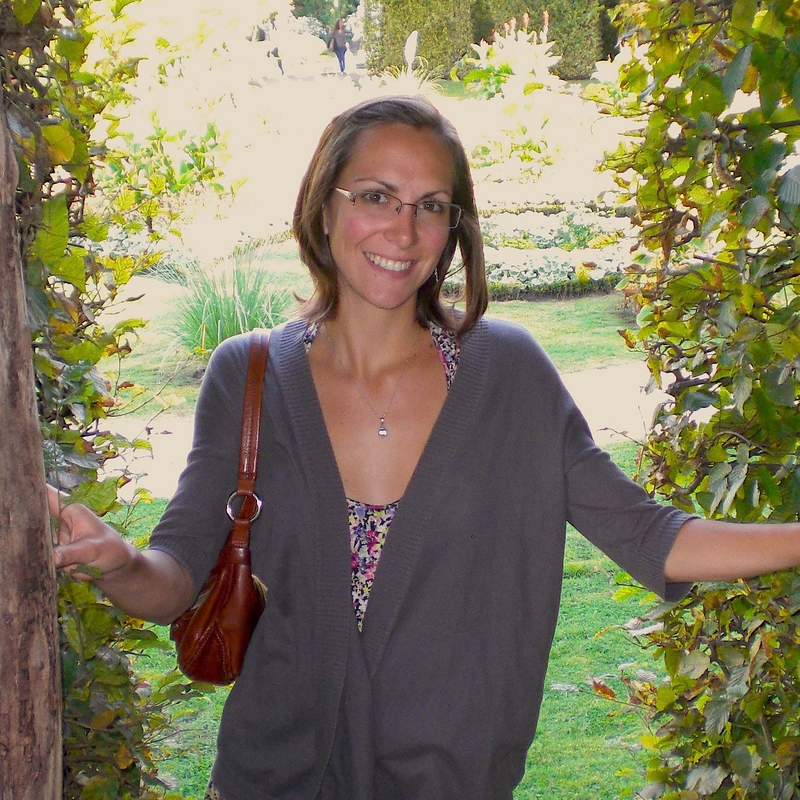 Stacey Johnson who wrote the Signals Blog piece on this story explained that while BrainStorm is not starting a clinical trial for ALS in Canada, there will be significant benefits if its treatment is approved. CIRM is also funding stem cell-based therapies in clinical trials for ALS. 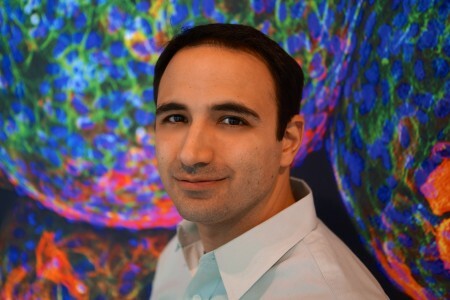 Just yesterday our Board awarded Cedars-Sinai $6.15 million dollars to conduct a Phase 1 trial for ALS patients that will use “cells called astrocytes that have been specially re-engineered to secrete proteins that can help repair and replace the cells damaged by the disease.” You can read more about this new trial in our latest news release. Love handles usually get a bad rap, but this week, a study from Switzerland claims that stem cells taken from the fat tissue of “love handles” could one day benefit diabetes patients. 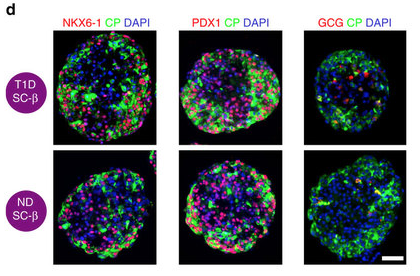 The study, which was published in Nature Communications, generated the much coveted insulin-secreting pancreatic beta cells from human induced pluripotent stem cells (iPS cells) in a dish. When exposed to glucose (sugar), beta cells secrete the hormone insulin, which can tell muscle and fat tissue to absorb excess glucose if there is too much around. Without these important cells, your body wouldn’t be able to regulate the sugar levels in your blood, and you would be at high risk for getting diabetes. Diabetic patients can take daily shots of insulin to manage their disease, but scientists are looking to stem cells for a more permanent solution. Their goal is to make bonafide beta cells from human pluripotent stem cells in a dish that behave exactly the same as ones living in a normal human pancreas. Current methods to make beta cells from stem cells are complex, too often yield inconsistent results and generate multiple other cell types. The Switzerland study developed a novel method for making beta cells from iPS cells that is efficient and gives more consistent results. The iPS cells were genetically reprogrammed from mesenchymal stem cells that had been extracted from the fat tissue of a 50-year old woman. To create insulin-secreting beta cells, the group developed a synthetic control network that directed the iPS cells step by step down the path towards becoming pancreatic beta cells. The synthetic control network coordinated the expression of genes called transcription factors that are important for pancreatic development. The network could be thought of as an orchestra. At the start of a symphony, the conductor signals to different instrument groups to begin and then directs the tempo and sound of the performance, making sure each instrument plays at the right time. In the case of this study, the synthetic gene network coordinates expression of three pancreatic transcription factors: Ngn2, Pdx1, and MafA. When the expression of these genes was coordinated in a precise way that mimicked natural beta cell development, the pancreatic progenitor cells developed into functioning beta-like cells that secreted insulin in the presence of glucose. This technology has advantages over current stem cell-derived beta cell generating methods, which typically use combinations of genetic reprogramming factors, chemicals, or proteins. 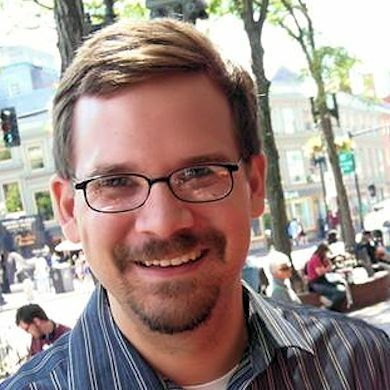 Senior author on the study, Martin Fussenegger, explained in a news release that his study’s method has more control over the timing of pancreatic gene expression and as a result is more efficient, having the ability to turn three out of four fat stem cells into functioning beta cells. Another benefit to this technology is the potential for making personalized stem cell treatments for diabetes sufferers. Patient-specific beta cells derived from iPS cells can be transplanted without fear of immune rejection (it’s what’s called an autologous stem cell therapy). Some diabetes patients have received pancreatic tissue transplants from donors, but they have to take immunosuppressive drugs and even then, there is no guarantee that the transplant will survive and work properly for an extended period of time. While these findings are definitely exciting, there is still a long road ahead. The authors found that their beta cells did not perform at the same level as natural beta cells. When exposed to glucose, the stem cell-derived beta cells failed to secrete the same amount of insulin. So it sounds like the group needs to do some tweaking with their method in order to generate more mature beta cells. Lastly, it’s definitely worth looking at the big picture. This study was done in a culture dish, and the beta cells they generated were not tested in animals or humans. Such transplantation experiments are necessary to determine whether love-handle derived beta cells will be an appropriate and effective treatment for diabetes patients. A CIRM funded team at San Diego-based company ViaCyte seems to have successfully gotten around the issue of maturing beta cells from stem cells and is already testing their therapy in clinical trials. Their study involves transplanting so-called pancreatic progenitor cells (derived from embryonic stem cells) that are only part way down the path to becoming beta cells. They transplant these cells in an encapsulated medical device placed under the skin where they receive natural cues from the surrounding tissue that direct their growth into mature beta cells. Several patients have been transplanted with these cells in a CIRM funded Phase 1/2 clinical trial, but no data have been released as yet. This has already been a productive year for diabetes research. 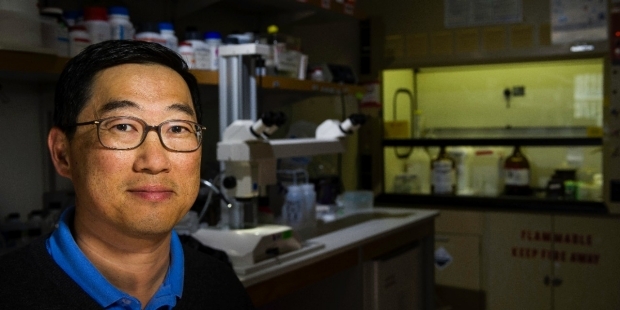 Earlier this month, scientists from UCSF and the Gladstone Institutes successfully made functional human pancreatic beta cells from skin, providing a new and robust method for generating large quantities of cells to replace those lost in patients suffering from type 1 diabetes. 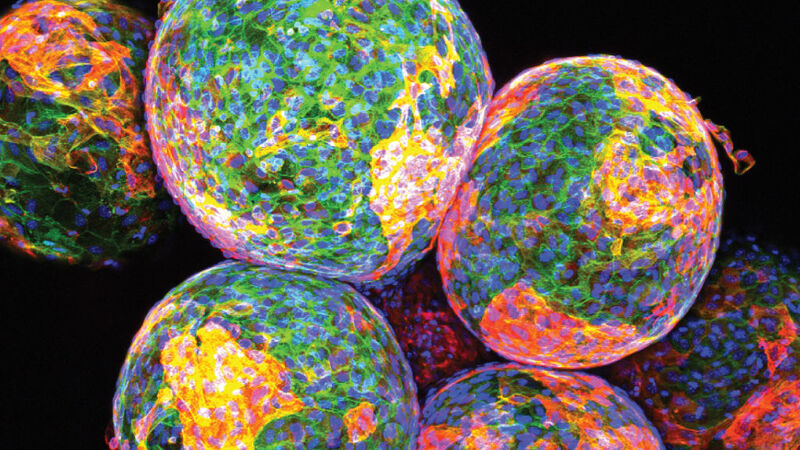 Today marks another breakthrough in the development of stem cell therapies for diabetes. Scientists from MIT and the Harvard Stem Cell Institute published a new method in Nature Medicine that encapsulates and protects stem cell-derived pancreatic beta cells in a way that prevents them from being attacked by the immune system after transplantation. 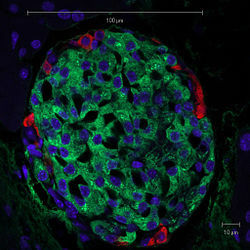 Stem cell therapy holds promise for diabetes for a number of reasons. First, scientists now have the ability to generate large numbers of insulin producing pancreatic beta cells from human skin and stem cells. This obviates the need for donor beta cells, which are always in short supply and high demand. Second, there’s the issue of the immune system. Transplanting beta cells from a donor into a patient will trigger an immunological reaction, which can only be abated by a lifetime regimen of immunosuppressive drugs. One way that scientists have addressed the issue of immune rejection is to transplant stem cell-derived beta cells in a protected capsule. 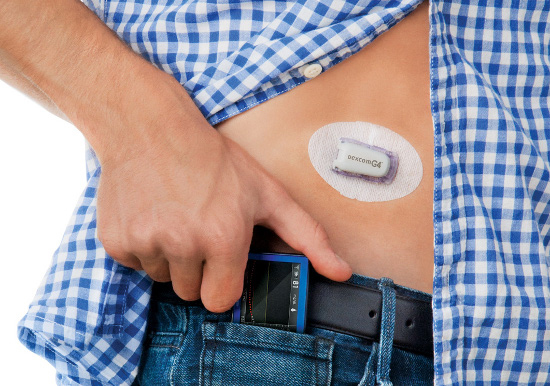 A CIRM-funded company called ViaCyte has developed a medical device that acts like a replacement pancreas but is surgically implanted under the skin. It contains human beta cells derived from embryonic stem cells and has a membrane barrier that allows only certain molecules to pass in and out of the device. This way, the foreign pancreatic cells are shielded from the immune system, but they can still respond to changing blood sugar levels in the patient by secreting insulin into the blood stream. Another way that scientists trick the immune system in diabetes patients uses a similar strategy but instead of a medical device that protects a large population of cells, they encapsulate individual islets (clusters of beta cells) using biomaterials. However, previous attempts using a biomaterial called alginate to encapsulate islets caused an immune response in the form of fibrosis, or scar tissue, and cell death. Additionally, transplanted alginate microspheres were only able to achieve glycemic control, or control of blood sugar levels, temporarily in animal models. 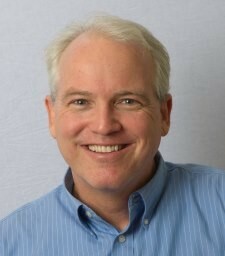 In the Nature Medicine study, the scientists developed a new method for beta cell encapsulation where they used a chemically modified version of the alginate microspheres – triazole-thiomorpholine dioxide (TMTD) – that didn’t cause an immune reaction and was able to maintain glycemic control in mice that had diabetes. The scientists tested the conventional alginate microspheres and the modified TMTD-alginate microspheres containing embryonic stem cell-derived human beta islets in diabetic mice. They found that the conventional smaller alginate microspheres caused fibrosis while larger TMTD-alginate microspheres did not. They observed that the modified TMTD-alginate microspheres were able to achieve glycemic control for over 70 days after transplantation while conventional microspheres didn’t perform as well. The scientists also looked at the immune response to both types of alginate spheres. They saw lower numbers of immune cells and less fibrosis surrounding the transplanted TMTD microspheres compared to the conventional microspheres. The final studies were the icing on the cake. The asked whether the modified TMTD microspheres were able to maintain long-term glycemic control or insulin independence, which would mean sustaining blood glucose levels in diabetic mice for over 100 days. They studied diabetic mice that received TMTD microspheres for 174 days. At 150 days, they performed a glucose test and saw that the diabetic mice were just as good at regulating glucose levels as normal mice. Furthermore, after 6 months, these mice showed no build up of fibrotic tissue, indicating that the modified microspheres weren’t causing an immune response and these mice didn’t need immunosuppressive drugs. This study was picked up by STATnews, which also mentioned another related study published in Nature Biotechnology that tested various alginate derivatives in rodent and monkey models of diabetes.